Plan b: Alternatively if you don’t want to compromise on price, or can’t afford to due to a competitive market, look at offering different options to the buyer. 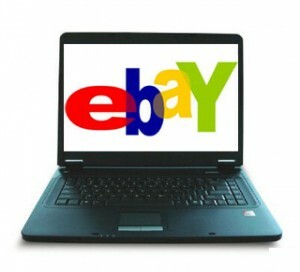 I find myself doing this when I am selling products in a competitive market & the best way to start is to look at your competition, with the new variation options on eBay you may find your competitors are selling bundles of items such as 4 of the item for £9.99 or £4.99 each. You may find they are selling a wide range of colours. Take notes about all this, you want to find out what your customer wants not from your own mistakes but from your competitions greatest sales. Remember, once you have looked at the competition you may find that the market you were looking to go into is too competitive, in this case, look at alternative products. It may be hard & annoying with all the time and effort you have spent but in the long run, you are only going to save yourself money & gain more sales! MY MOST IMPORTANT TIP: This is my most important tip to all you people thinking of starting up an eBay business, and it comes now if there is anything you take away from what I say today then let it be this. If you see a lot of people selling the products you want to sell, and they have 100 in stock and they have sold maybe 4, 5, 10 take a look at when those sales were, if there last sale of this product was more than two weeks ago. GO BACK TO THE DRAWING BOARD. If more than five people selling this item who are the lowest priced, have sold less than five. GO BACK TO THE DRAWING BOARD. Once you have set up your shop & listed all your items, it feels like you sit watching your computer for days before you get your first sale. But could that sale have come quicker? There are a million and one, ‘noob’ mistakes when creating a new listing on eBay, and I am going to go through my top tips to ensure that you are maximising views, interest and sales on ALL of your products! 1. Check Spellings – There are now sites dedicated to finding misspelt products on eBay, you may think its stupid, but its common. From a typo error to an English class fail. Spell check. Everything! 2. Check Categories – There are so many products on eBay, and yes everyone probably does search by keyword, but when I am looking for say a vinyl album and I make a search for say the word Mary Poppins, the next thing I do is refine by category. That’s where I cut you out! You have seen where your competition is, so find out what category they come under, do you come under the same! Hi, great post, but would like to point out the following…. You have used “you’re” in the guide instead of “your”. Different meaning. As you mentioned spelling being an important issue, you might like to amend the guide! « What do you need from your wholesaler?